Tonight Erica, Zakk, and I sat at the table after all the kids had gone to bed with a set of ice breaker cards. There were many light hearted questions and then came the card that could have been light hearted but turned into a very thought provoking conversation. The card read: "If you could have 3 wishes what would they be?" 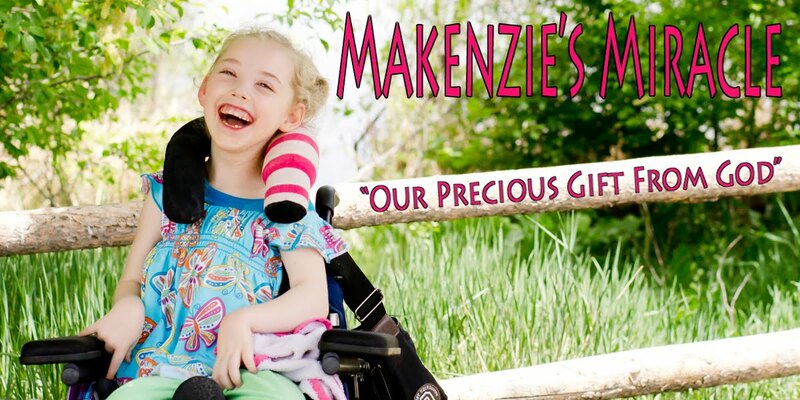 Very quickly I blurted out, I would take back March 25th, 2007 and Makenzie would not have a brain injury. Sounds good right? However, that is a very loaded thought. As we sat and talked about what that would truly mean I started to waiver. I have met so many amazing people in the last 3 years. In fact a couple of these amazing people have become the best friends I have ever had in my whole life. Would I give them up? I don't know. I would probably still be a single mom working 40 plus hours a week. Makenzie would be in day care and the boys would be latch key kids. I would most likely have had even less time for them then I do now. I would not have learned the life lessons I have learned over the last 3 years. I would not be the strong, intense, passionate, woman I am today. All be it I am not even close to perfect, my heart has learned passions I could have never even imagined before the world of special needs. My life would be totally different. It was a simple question, but really it wasn't that simple after all! As hard as it is to trust and understand sometimes, I believe God's plan for my life is perfect. I am glad I don't really get three wishes because I am sure I would screw everything up! Hi. This was beautifully said...and beautifully thought out. Thank you for sharing it.